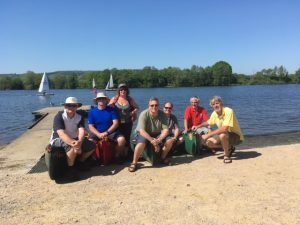 A massive thank you goes to the team who took part in the paddling taster sessions at Chipstead Sailing Club today. With a massive 28 degrees of sunshine and over 100 people on the water in just over two hours, the day was a great success! We hope to see as many new paddlers at the club in the very near future and hopefully no-one got too sun burnt! Thanks again and happy paddling!